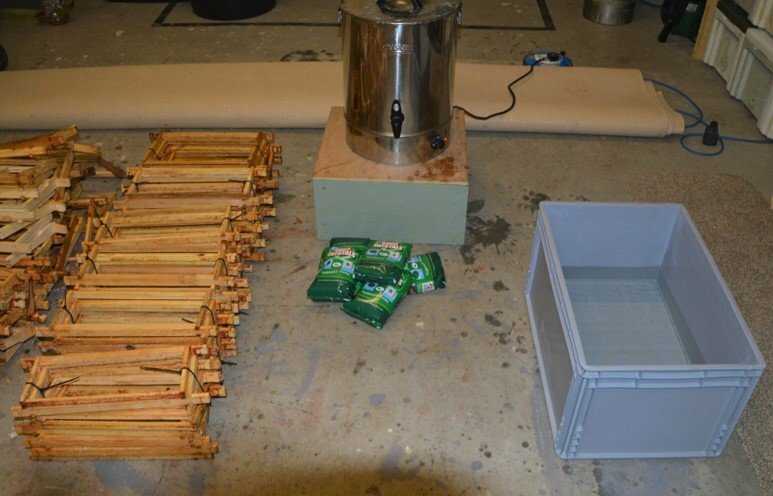 This blog describes a simple process for hive frame sterilisation using a boiling solution of cleaning soda. Sterilising with a boiling cleaning soda solution is simple for the small-scale beekeeper because it uses readily available household products (water and washing soda) and can be done with a minimum amount of equipment (a Burco boiler). It is effective at cleaning the frames as well as sterilising them. Which hive frames do I sterilise with washing soda solution? At the end of the season, particularly after processing honey, I usually have a collection of supers and brood bodies full of frames, which need to be cleaned and sterilised, before storing them for the winter. Any clean and nicely drawn frames which are “dry” of honey will be put away as they are. Frames of fully capped honey will be stored over winter in a cool and clean place, protected from contamination and pests. 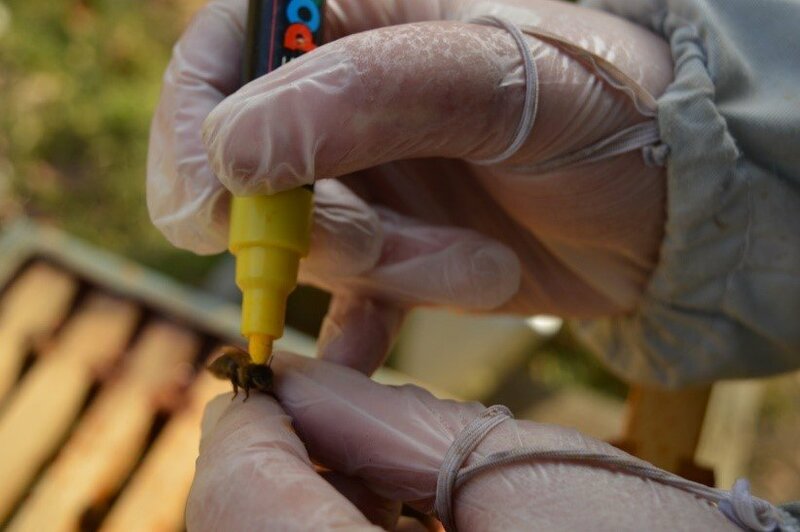 Any older super frames, those with jumbled comb, a build-up of propolis, or from a weak colony will be sterilised using cleaning soda solution. The issue with brood frames is the build-up of pathogens in the wax comb during successive brood rearing cycles. Frames from a colony which died out for any reason will be burned. Frames which are nicely drawn out, are clean and less than three years old, will be sterilised with 80% Acetic Acid Solution. Acetic acid is a really hazardous substance so please only have a go at this if you can do it safely. See national bee unit fact sheet for more info. 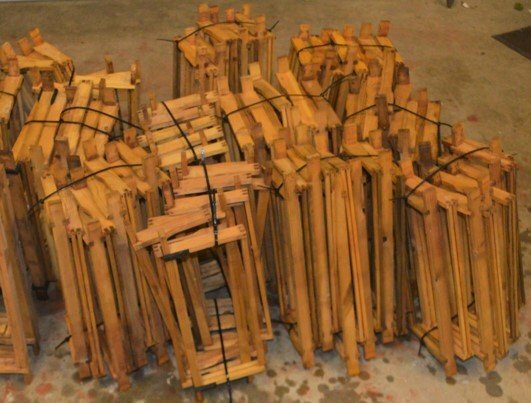 Any frames from a bailey comb change, any that are over two years old or any which have blackened cells will have the wax cut out and be sterilised using a solution of boiling washing soda. Washing Soda is less harmful than some of the substances used by beekeepers, like Acetic acid or Oxalic acid but it is a skin irritant and can particularly affect the eyes. Rubber gloves and eye protection should be worn. The boiling solution should be used in well ventilated area and breathing the steam/vapour should be avoided. The two major risks to manage are burns/scalds from the boiling solution and water contact with the electrical supply. Click here to see a safety data sheet for washing soda. 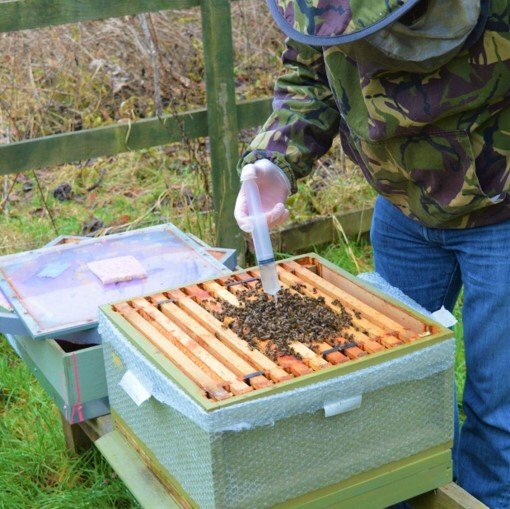 The national bee unit at Fera have a range of fact sheets on their website, including one on “Hive Cleaning & Sterilisation”. I use this fact sheet as the basis of the approach I use for hive frame sterilisation with boiling washing soda solution. Here is my interpretation of the fera guidelines, set up in my garage. From left to right. The messiest part of the process is removing the comb from frames and scraping the frames to remove propolis/debris. This is done with newspaper spread over the floor and over a large garden tub, using a wall paper stripping knife. The best bits of wax are collected together for processing later. The frames are bundled together. I find that bundles of 10 super frames or 8 brood frames are about the right size to fit in the burco and still leave enough room for sloshing about. I have used plastic tie wraps previously but the fera fact sheet suggests uncoloured string. The washing soda crystals come in 1kg bags. I find the cheapest place to buy it is Home Bargains or Lidl, where it is well under £1 per Kg bag. The solution used is one-part soda crystals to 5 parts water, by weight. Five 1Kg bags are added to 25 litres of water in the burco water boiler. This leaves a little space below the top of the boiler for the level to rise when the frames go in and get sloshed about. I mix up the solution in the burco boiler while the water is heating up. The solution is then allowed to heat up, with the lid on, until the solution is literally boiling. I got the family to club together a few years ago to get this burco boiler as a present. It is a 30 litre cygnet burco boiler, which was bought from Amazon for a little over £80. 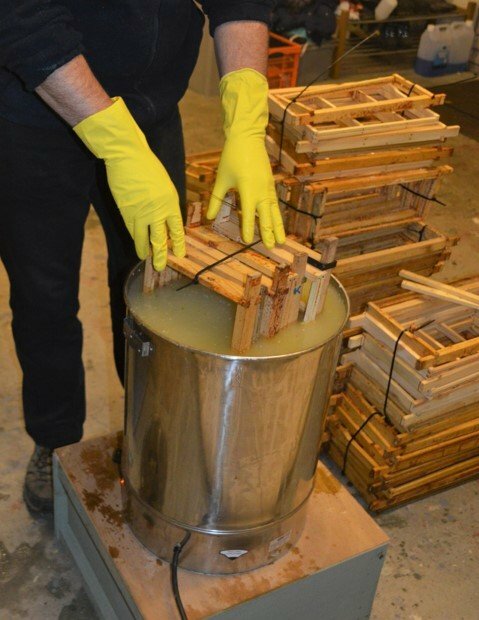 As a small-scale beekeeper it is a key item of equipment for processing wax, heat treatment of runny honey, as well as frame sterilisation. It has never made any tea! 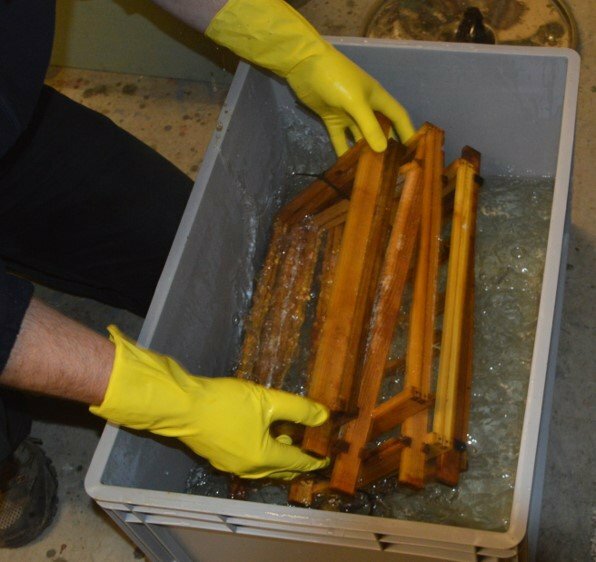 At 100 degree C any wax and propolis is removed from the frames, after two or three minutes and a little twisting and sloshing. The boiler is not tall enough to submerge the whole frame, so each end gets two or three minutes. A plastic crate half full of cold water is used to rinse the solution from the frames after boiling. This needs to be refreshed after a few bundles. The frames are left to drip dry in the garage for 24 hours, then moved into the utility room to dry out properly. Once completely dry the frames are stored in cleaned and sterilised supers and brood boxes in the garage, without their wax, ready for the next season. 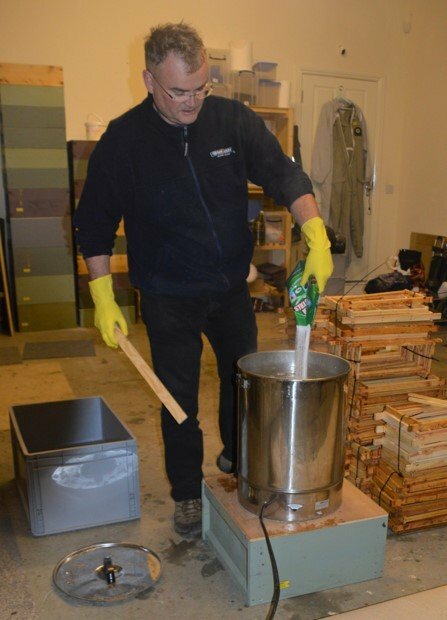 Hive frame sterilisation with a boiling solution of washing soda is simple for the small-scale beekeeper because it uses readily available household products and can be done with a minimum amount of equipment. The main item of equipment for the small-scale beekeeper is a 30L burco boiler. 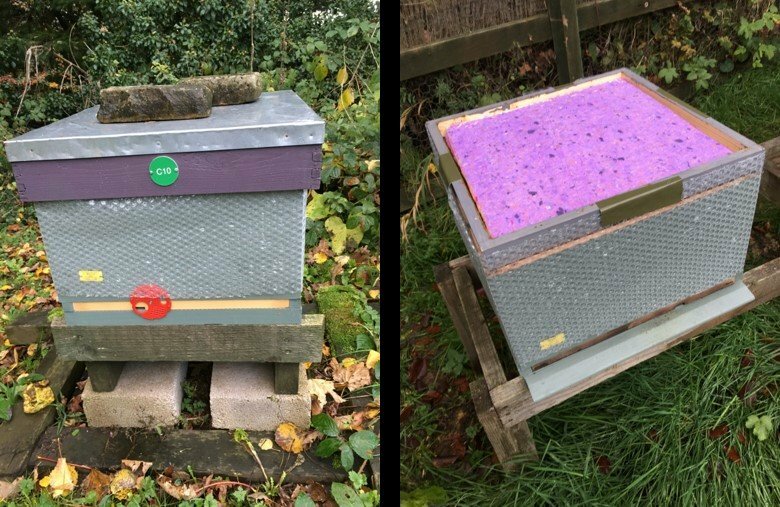 It is not intended to treat frames which have notifiable disease, but it is a simple and effective activity to build into your beekeeping year. You will be glad you put the effort in when the season starts, and you have a supply of clean and sterile frames, which are already assembled! If you have found this interesting or helpful, please subscribe to my blog, or like/share on Facebook. Let me know if there is a subject you would like to see a blog about. “It has never made any tea” – Classic mate !